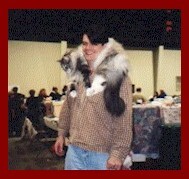 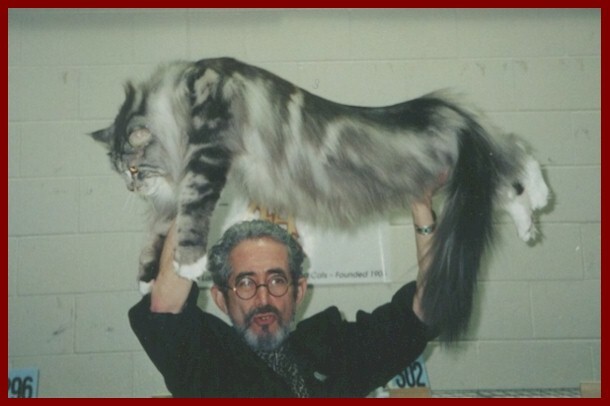 "Scout" is a silver tabby with white male and is a one show CFA grand. 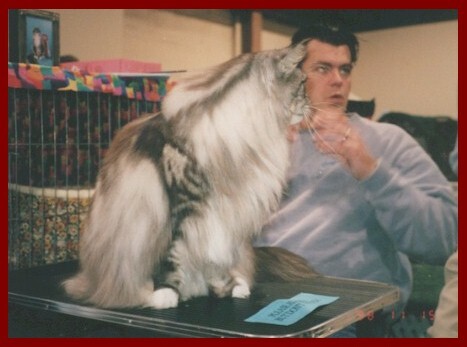 "Scout" on the grooming table waiting to be shown. 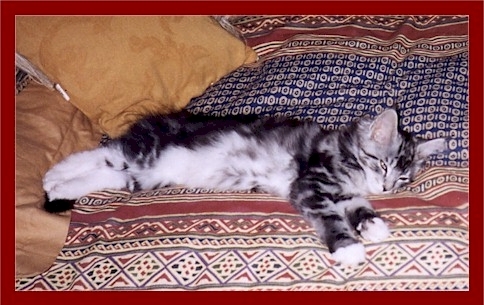 "Scout" dreaming of his future.